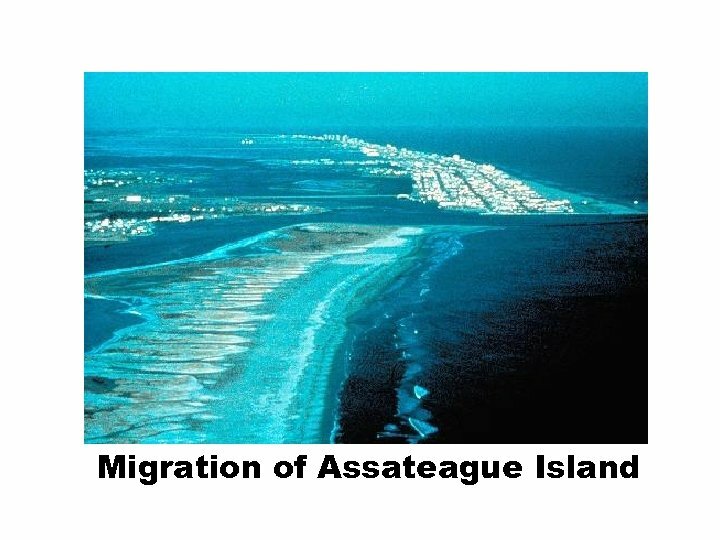 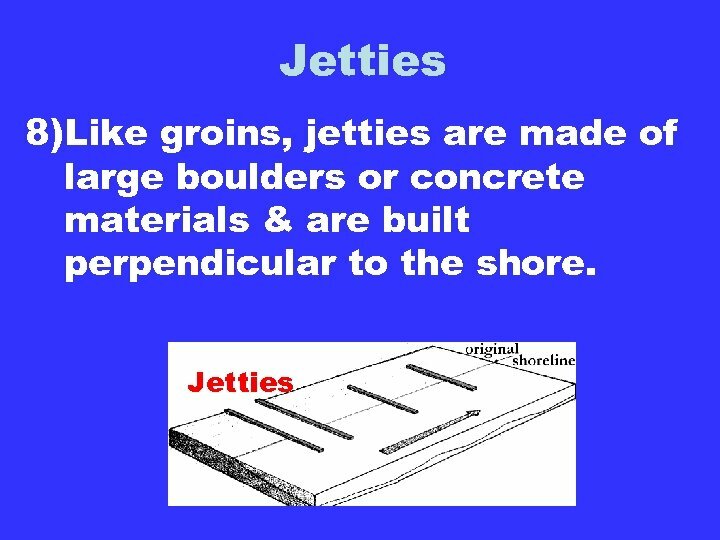 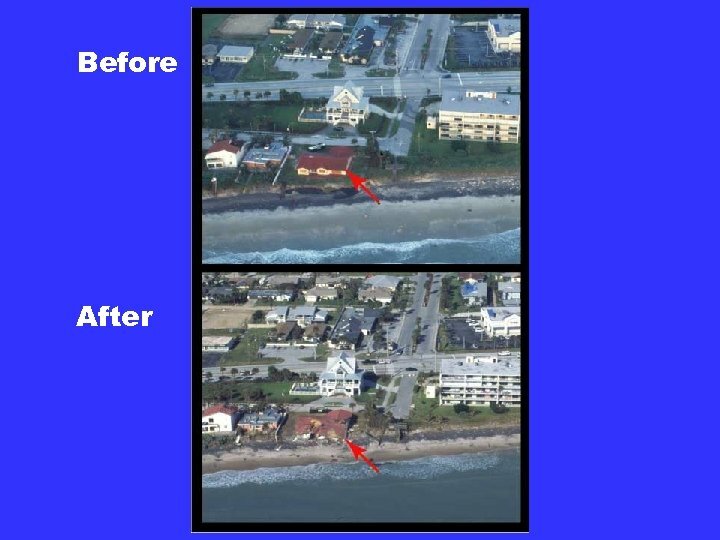 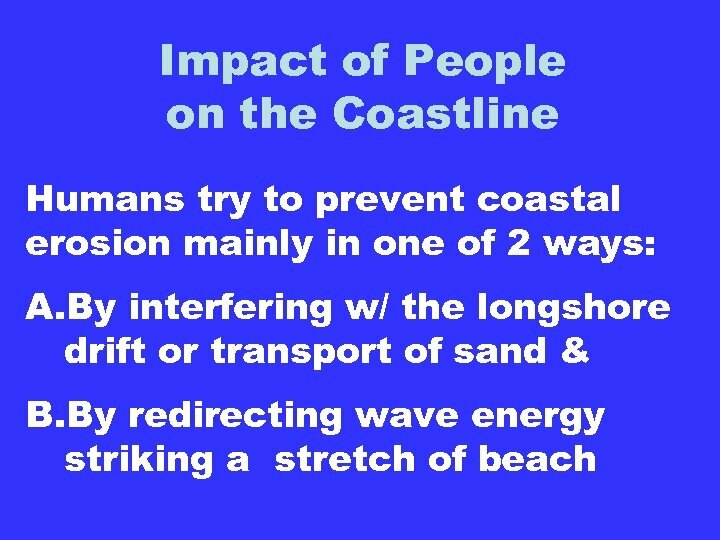 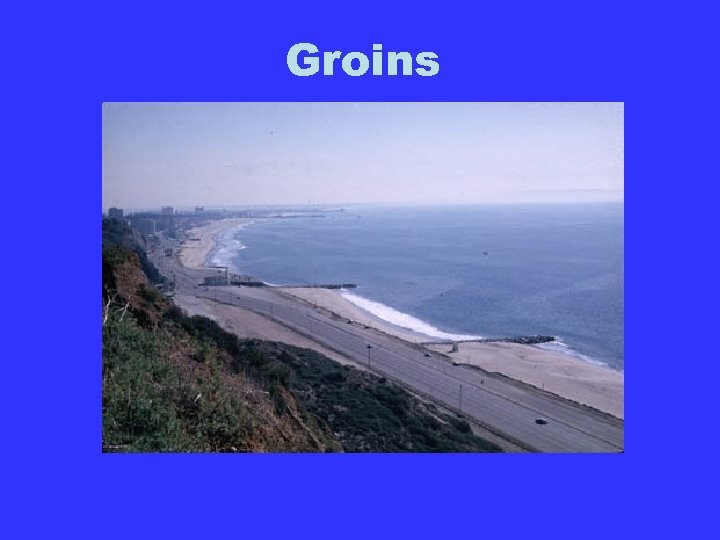 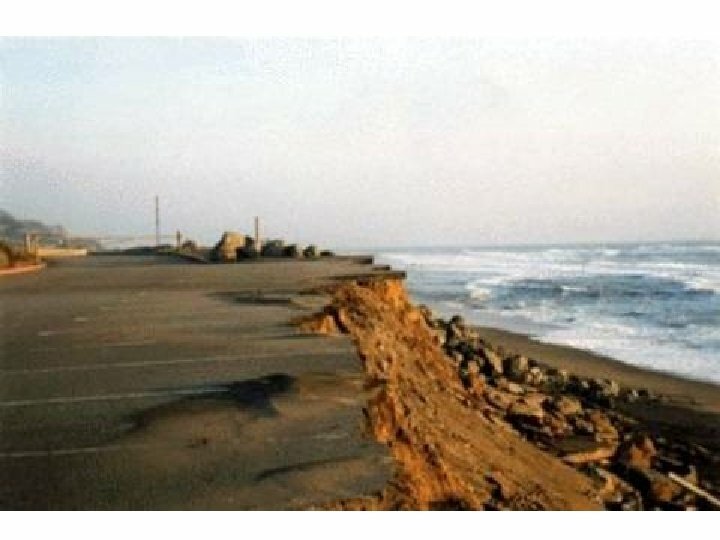 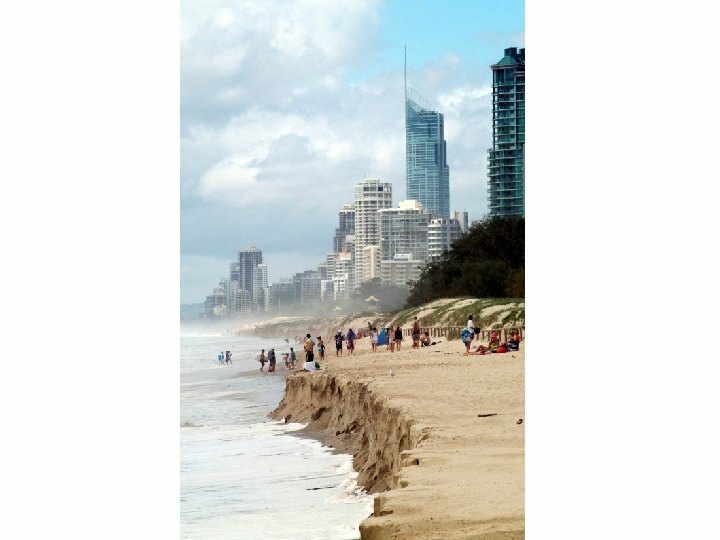 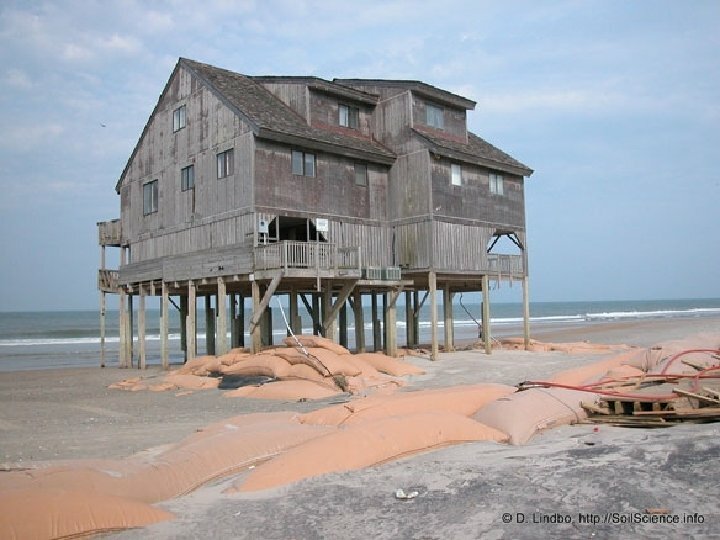 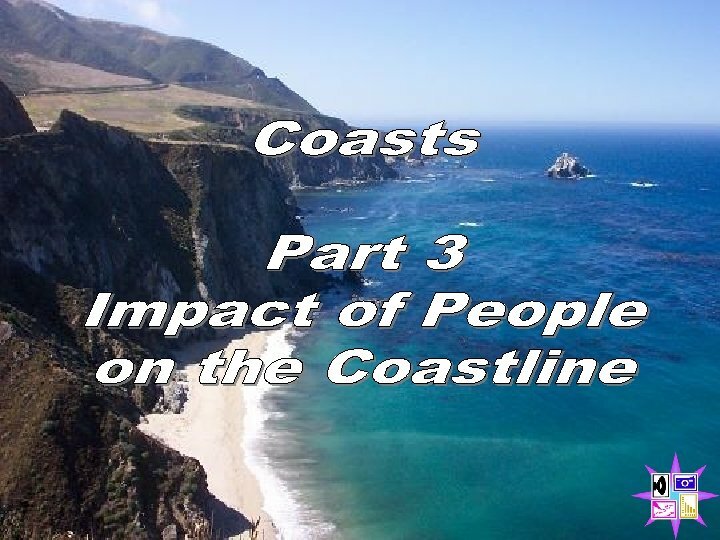 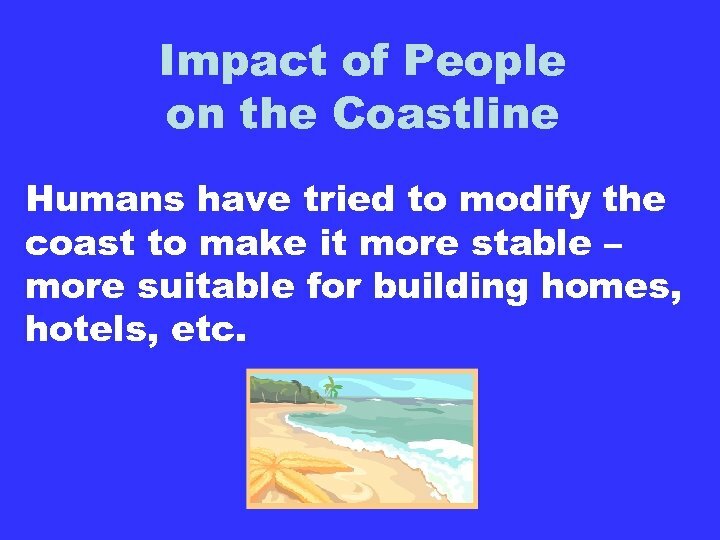 Impact of People on the Coastline Humans have tried to modify the coast to make it more stable – more suitable for building homes, hotels, etc. 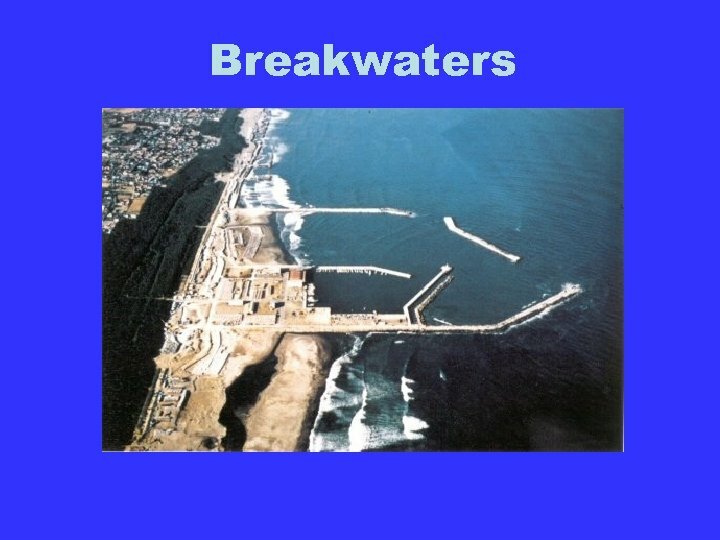 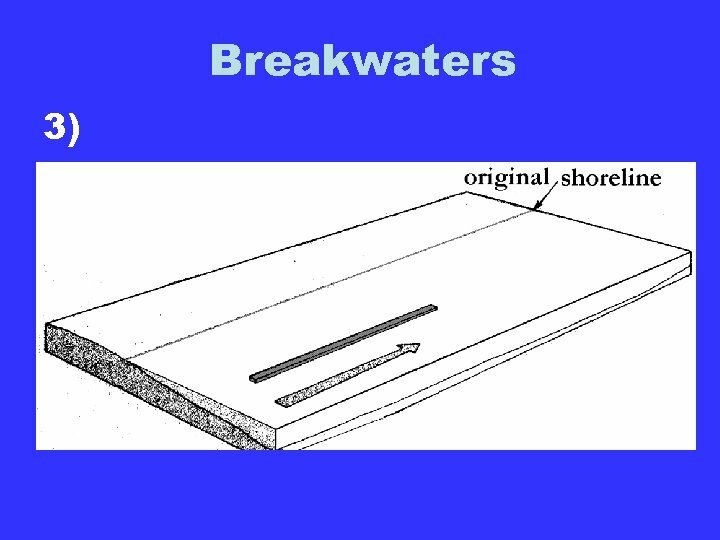 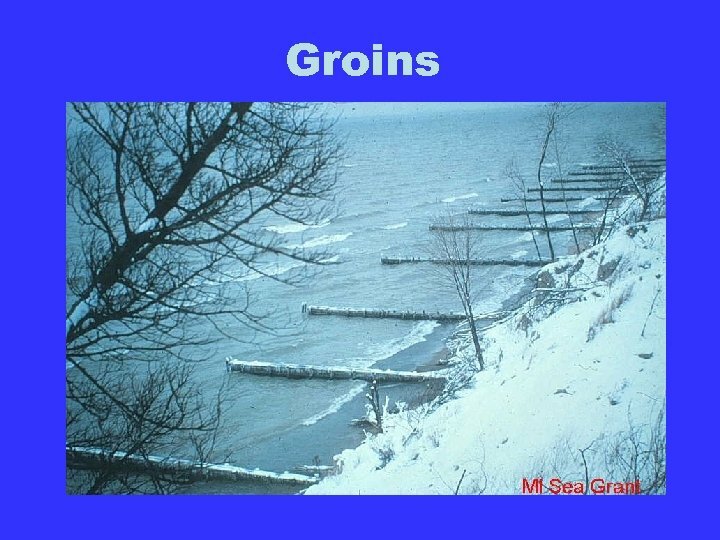 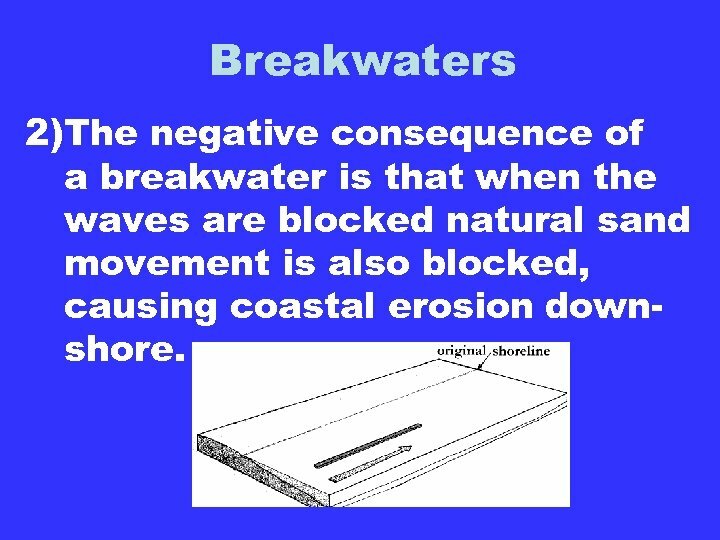 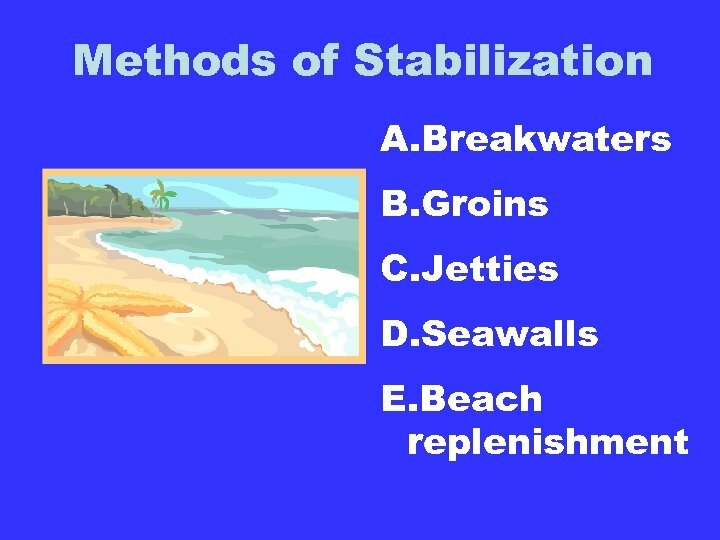 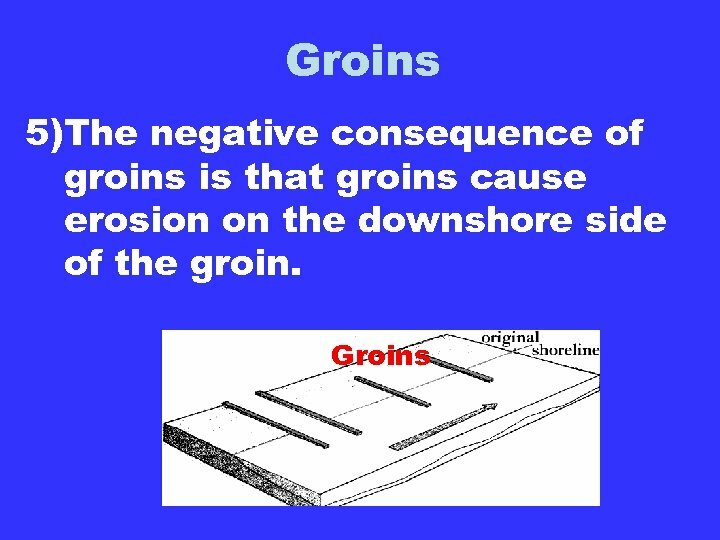 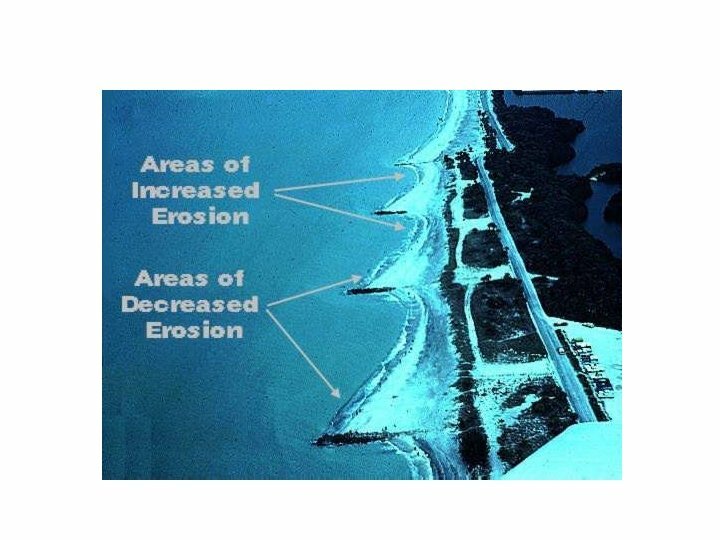 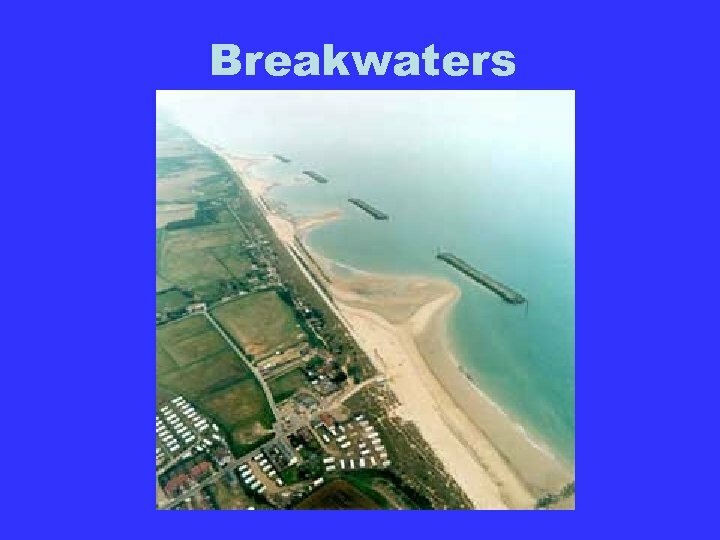 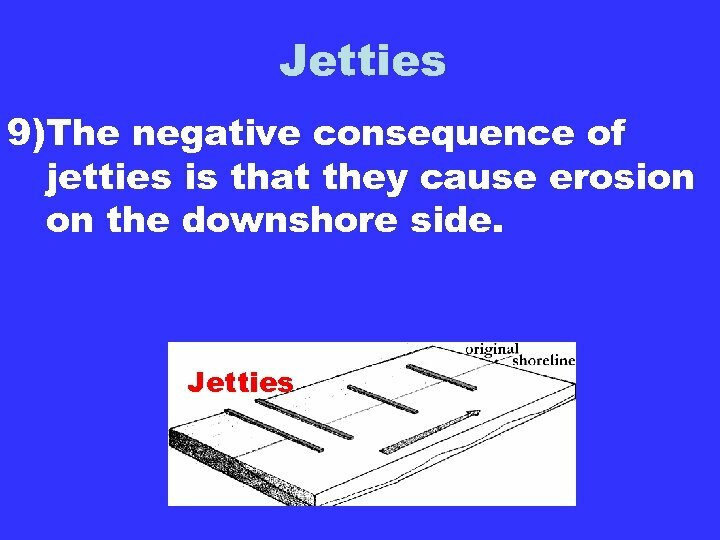 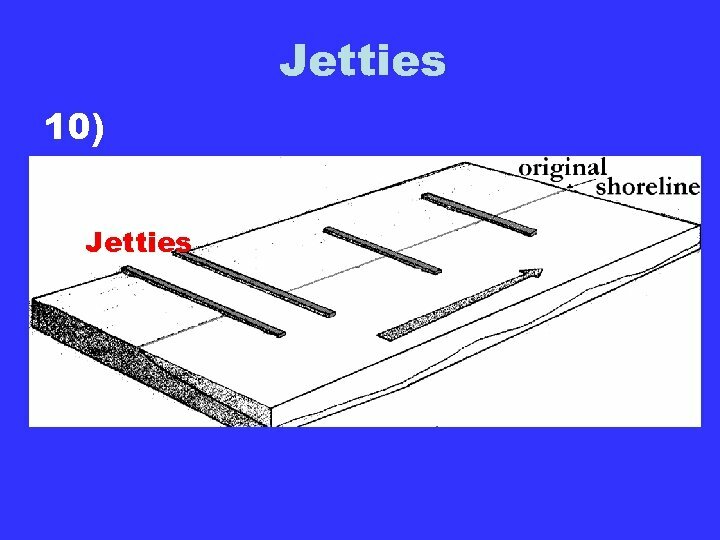 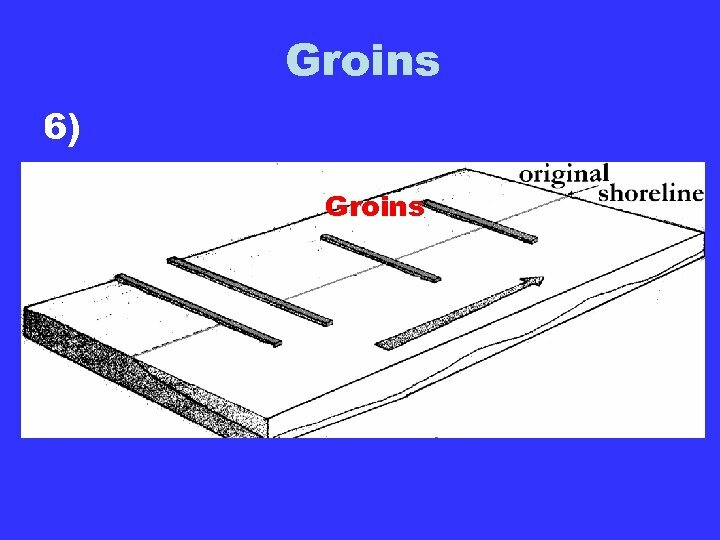 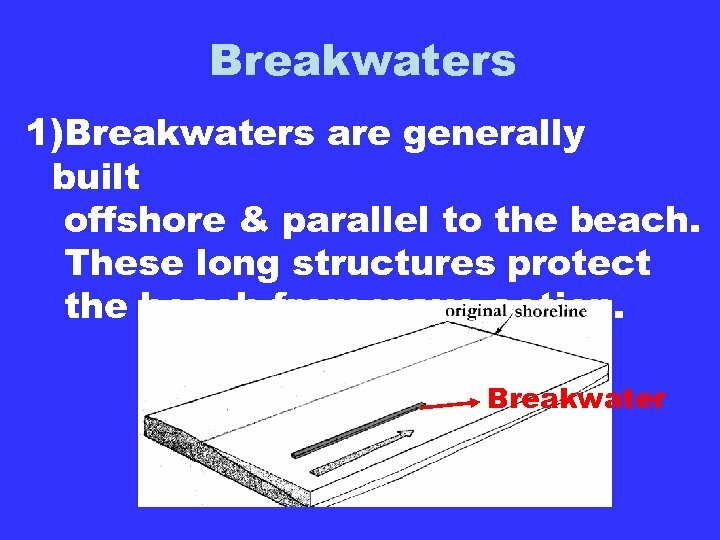 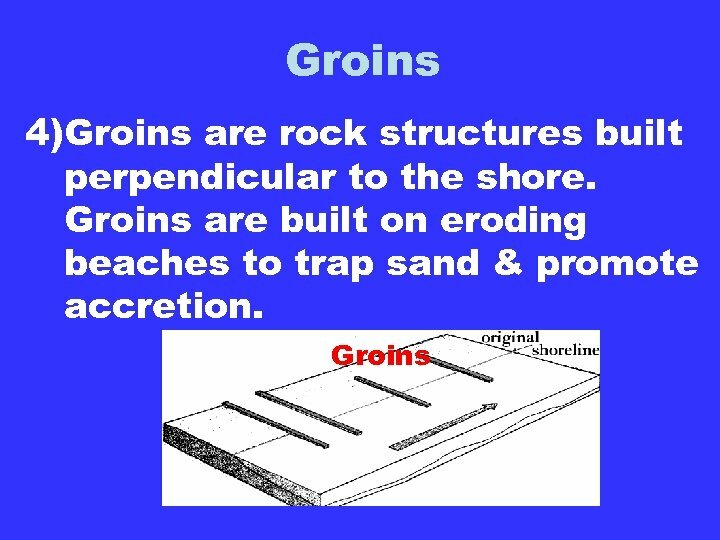 Breakwaters 2)The negative consequence of a breakwater is that when the waves are blocked natural sand movement is also blocked, causing coastal erosion downshore. 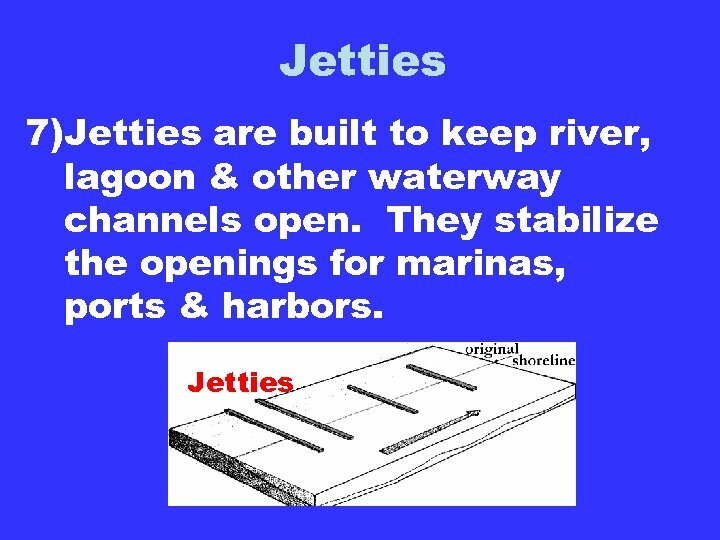 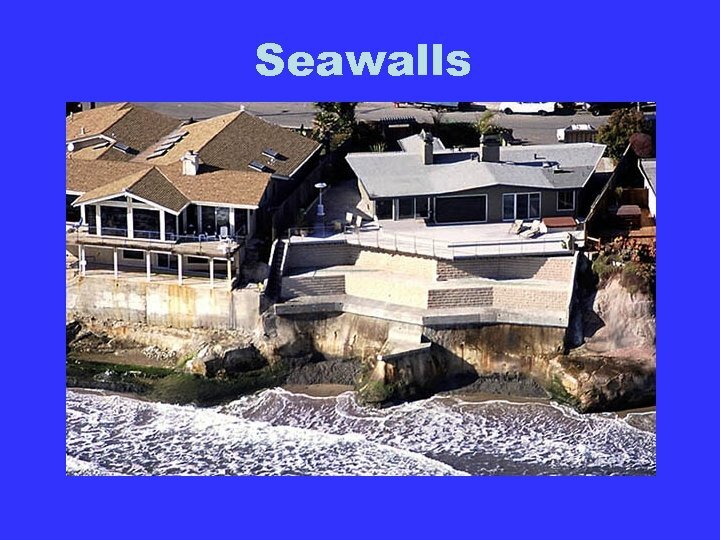 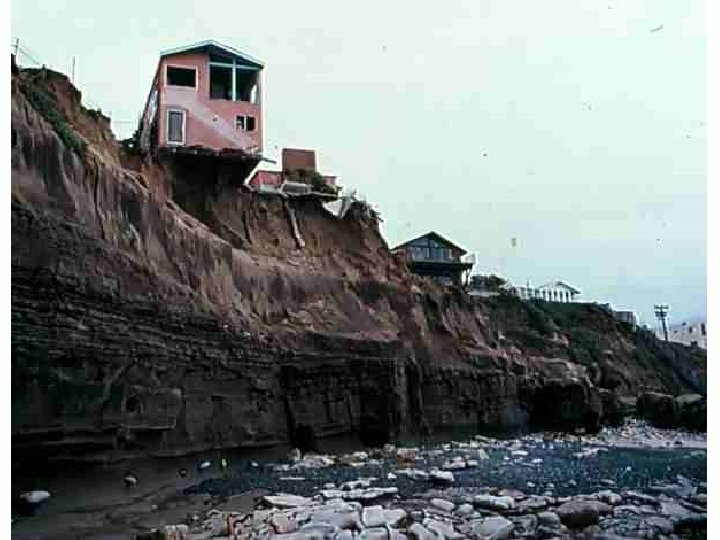 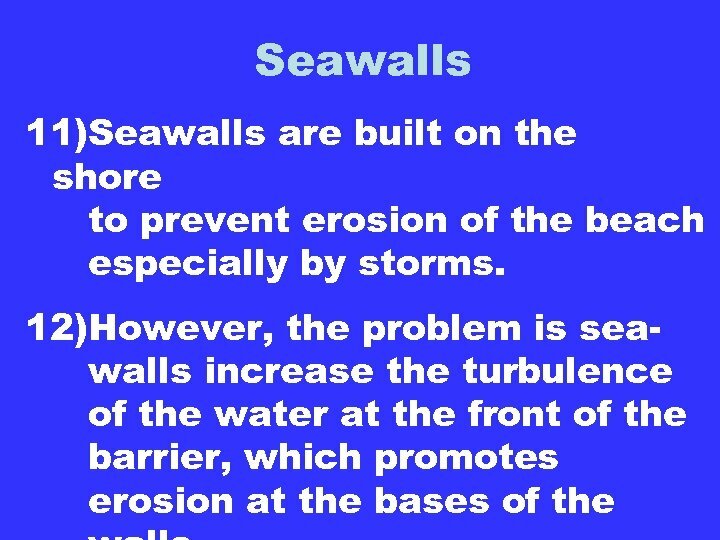 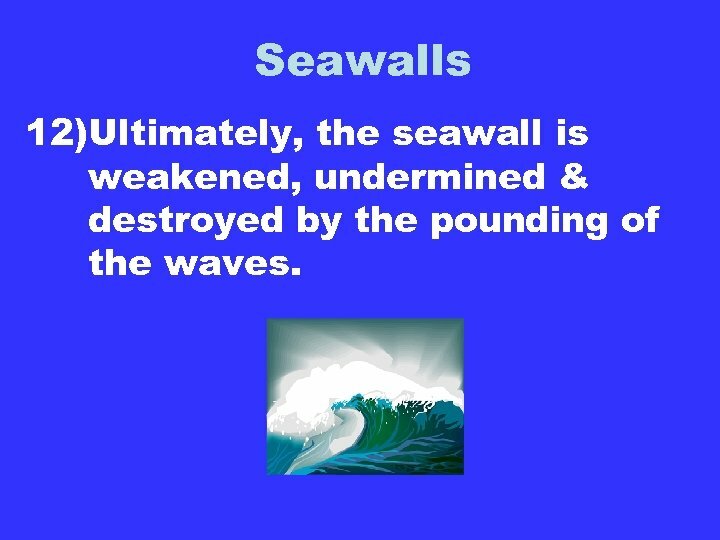 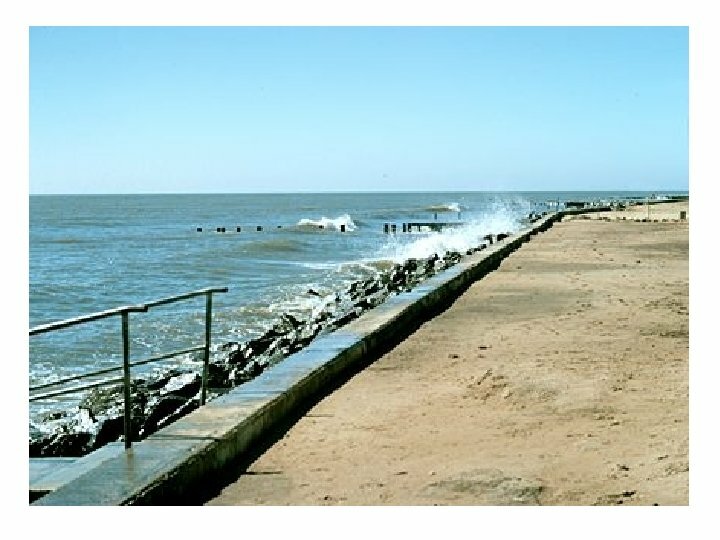 Seawalls 12)Ultimately, the seawall is weakened, undermined & destroyed by the pounding of the waves. 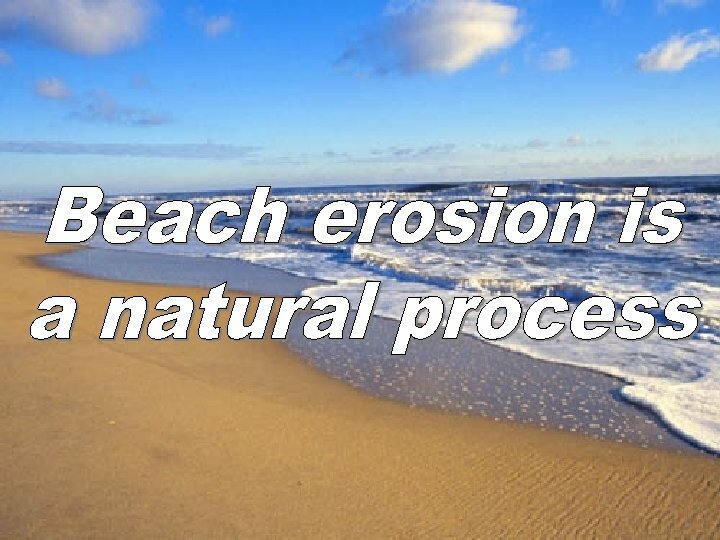 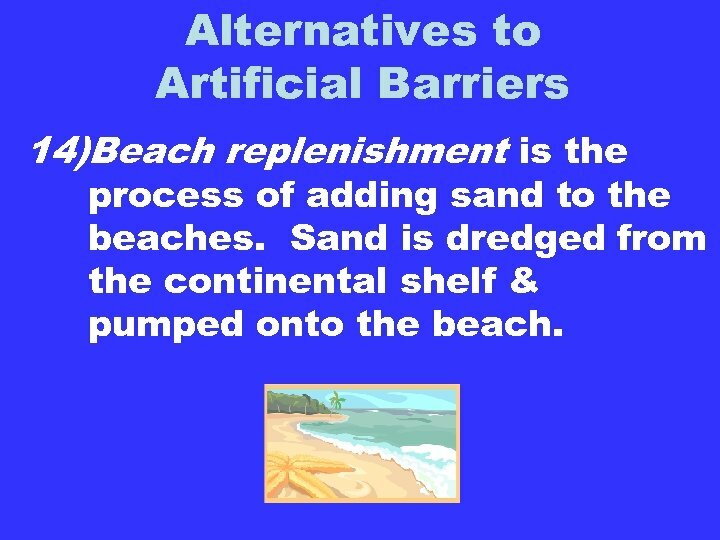 Alternatives to Artificial Barriers 14)Beach replenishment is the process of adding sand to the beaches. 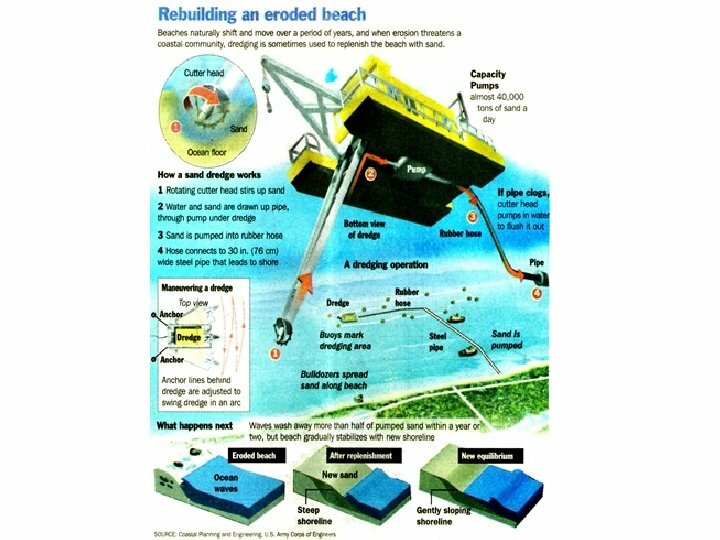 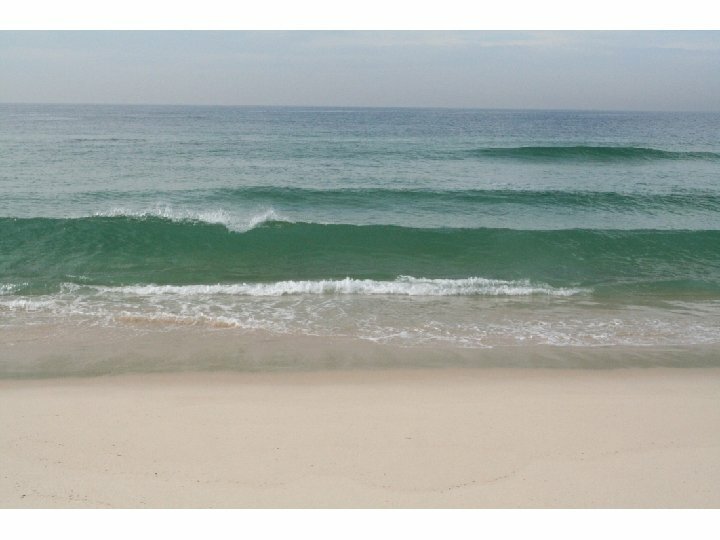 Sand is dredged from the continental shelf & pumped onto the beach. 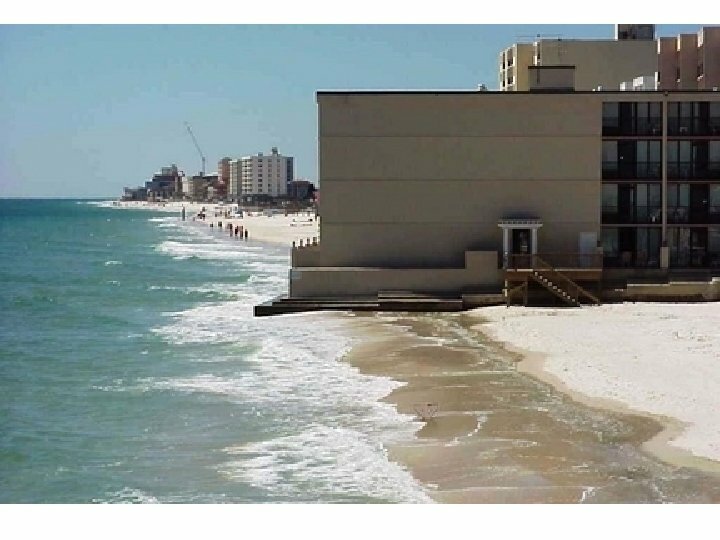 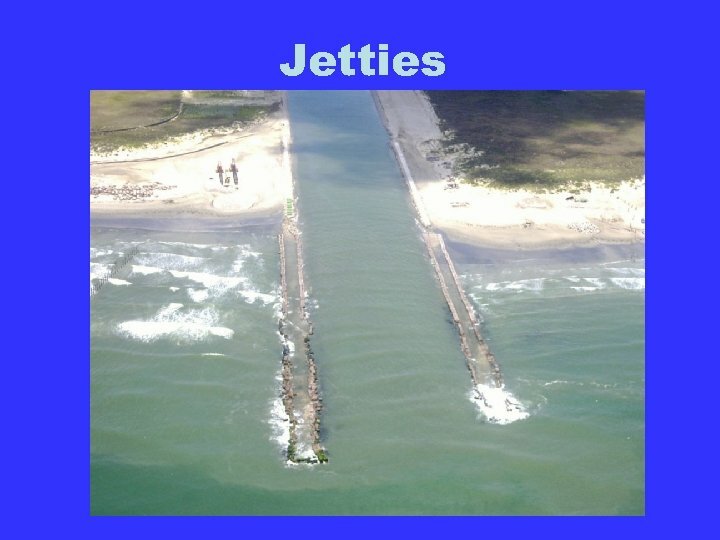 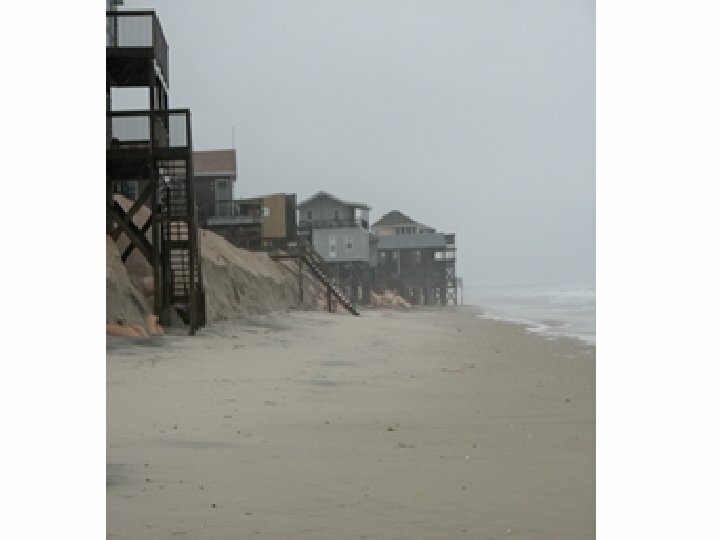 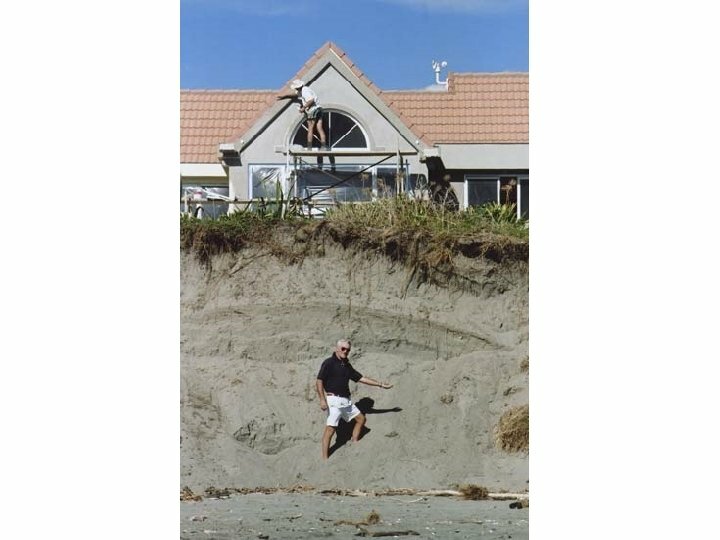 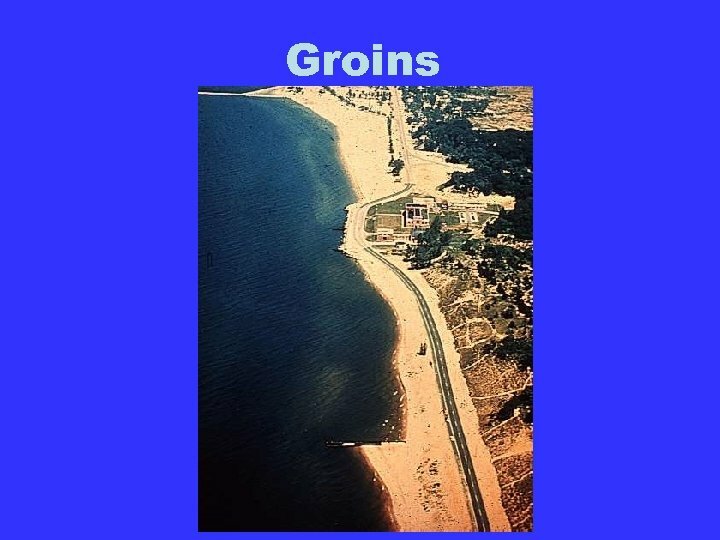 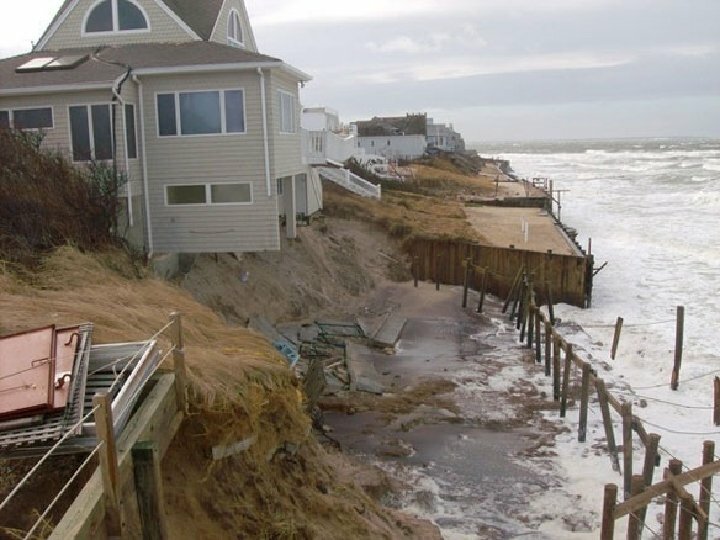 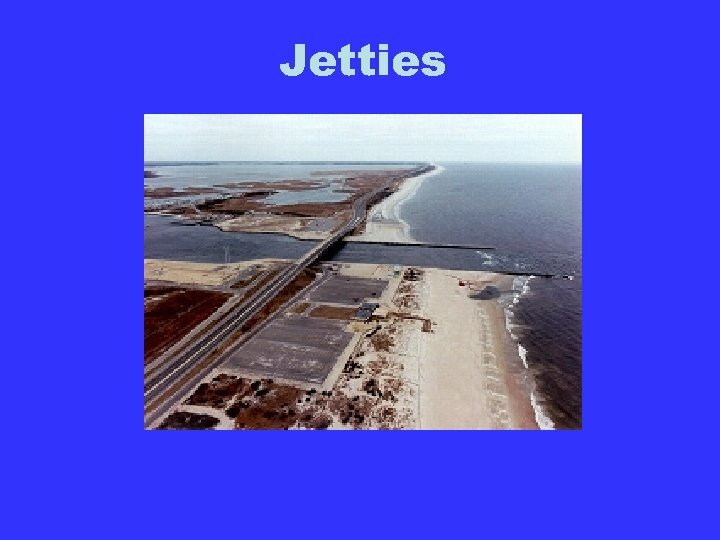 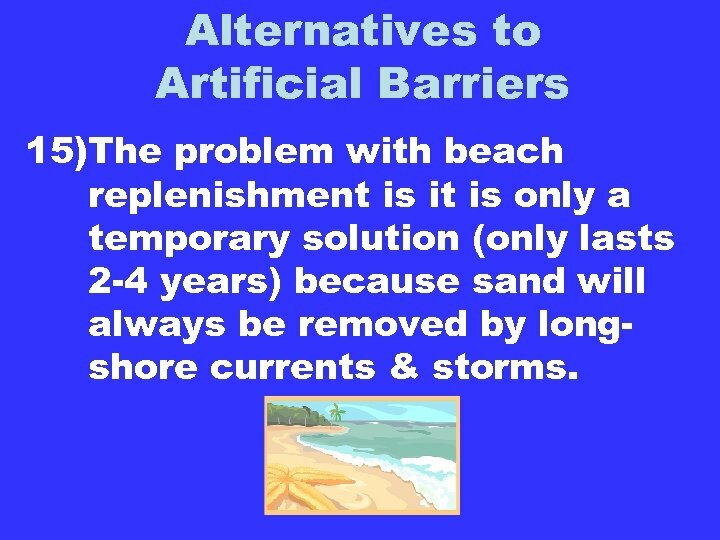 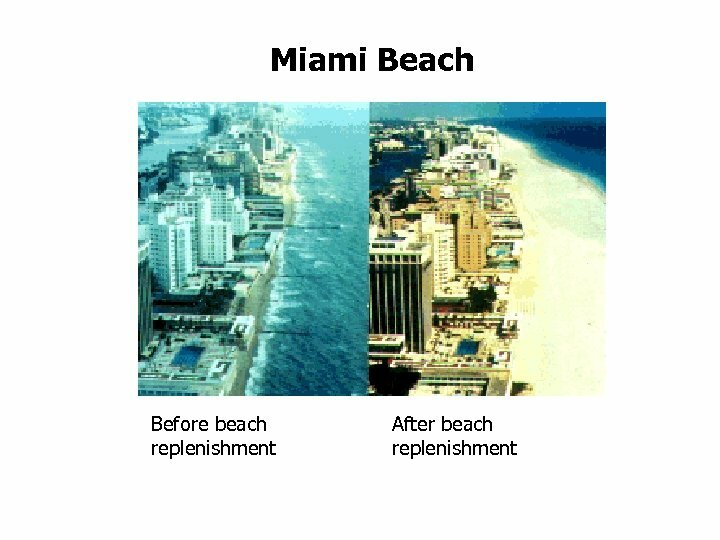 Alternatives to Artificial Barriers 15)The problem with beach replenishment is it is only a temporary solution (only lasts 2 -4 years) because sand will always be removed by longshore currents & storms. 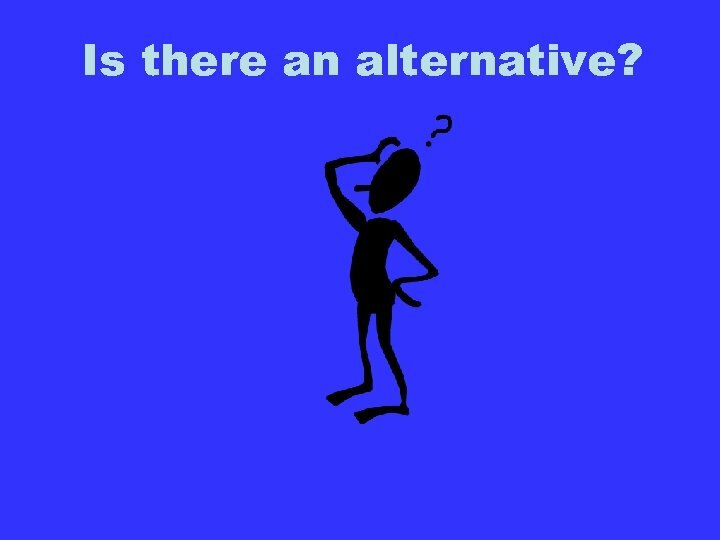 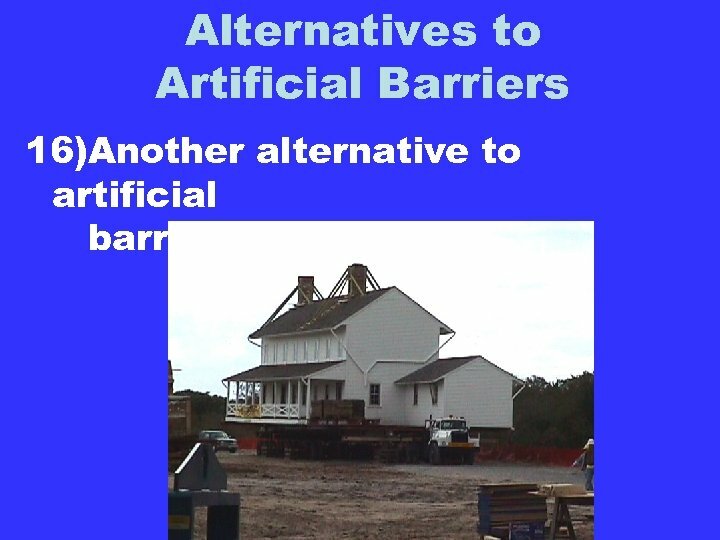 Alternatives to Artificial Barriers 16)Another alternative to artificial barriers is relocation. 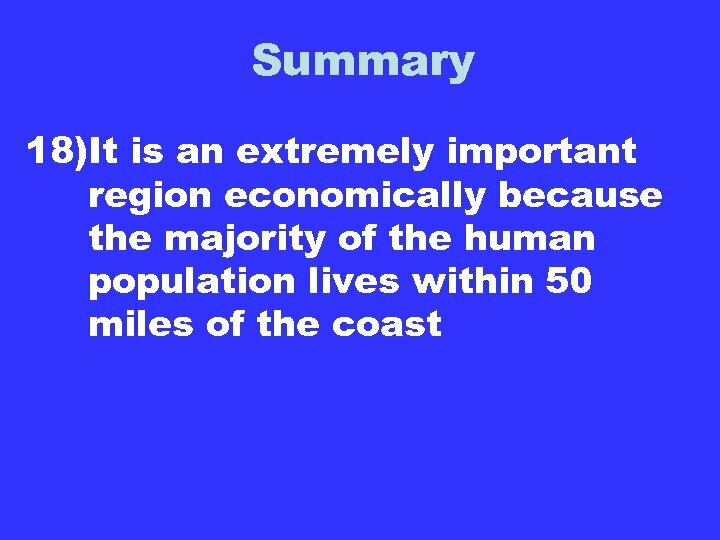 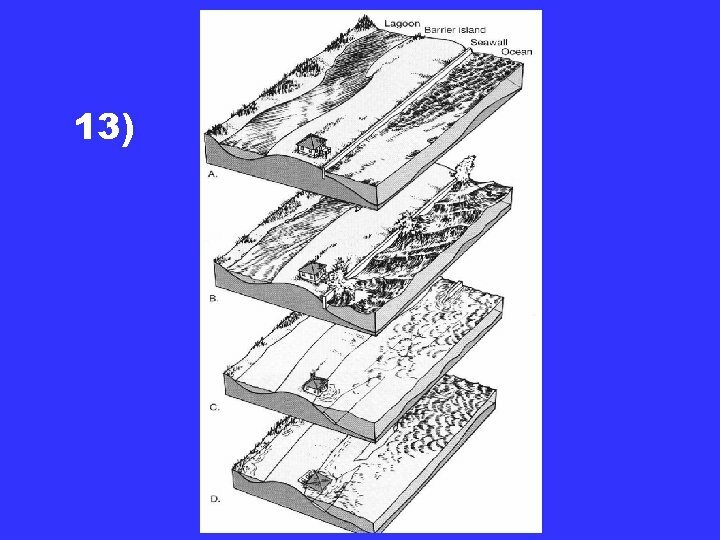 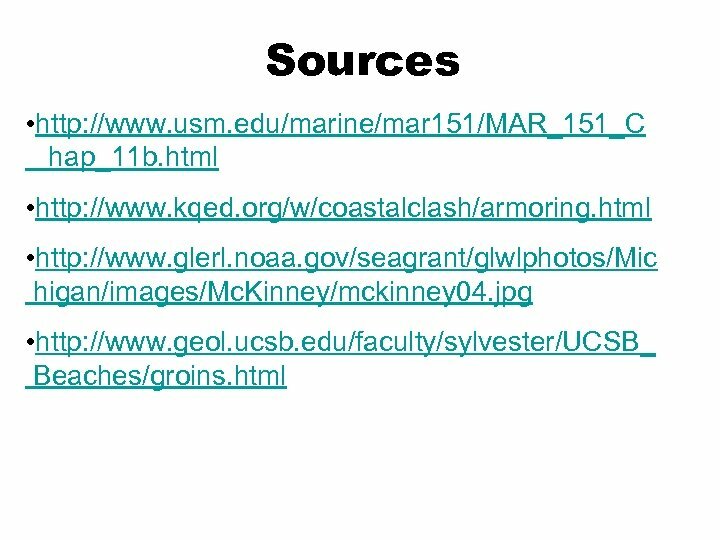 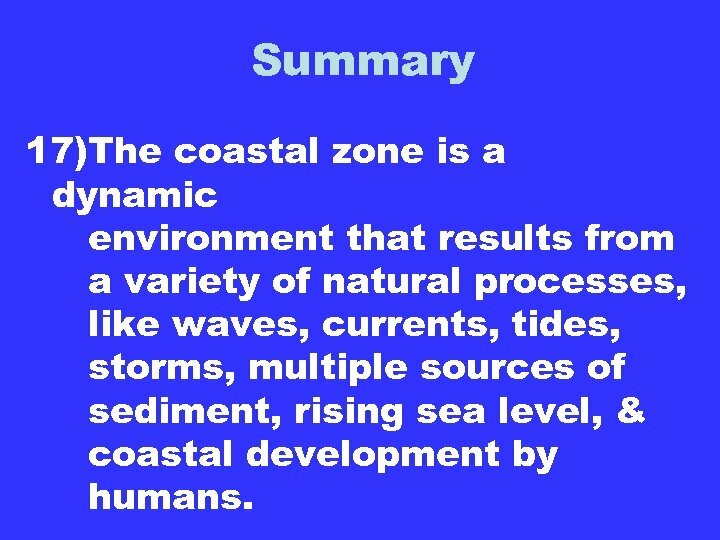 Summary 17)The coastal zone is a dynamic environment that results from a variety of natural processes, like waves, currents, tides, storms, multiple sources of sediment, rising sea level, & coastal development by humans. 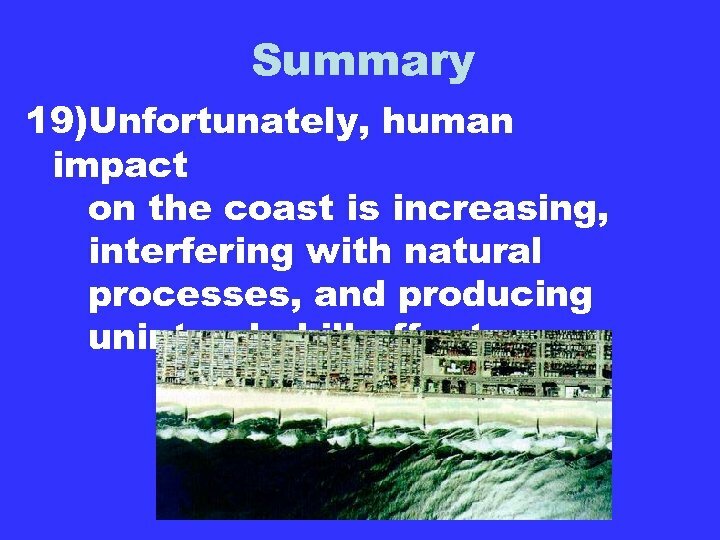 Summary 19)Unfortunately, human impact on the coast is increasing, interfering with natural processes, and producing unintended ill effects.